book2net kiosk – committed to quality! 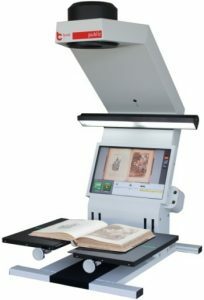 The book2net public is one of the most successful and versatile book scanners in the international market and convinces users by its high quality and ease of use as well as its high reliability and durability. book2net public II continues this success story. Equipped with the latest Matrix Sensor Technology, high-quality optics, 23″ touch screen monitor, conservational book cradle, innovative, environment friendly LED illumination concept and modern-designed casing the book2net public II is setting new technological standards. The intuitive, user-friendly operating software Easy Scan was functionally expanded by a new finger removal and flexible billing interface. The modular expansion by a powerful OCR software, a flexible accounting interface and the delivery services application round up the system. 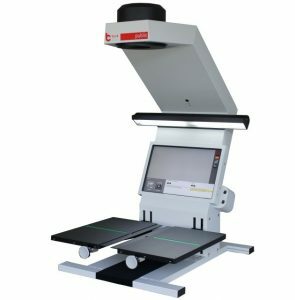 The pioneering Matrix Sensor Technology provides a unique depth of field of 12 cm with a resolution of up to 600 dpi and ensures consistently high quality with a unique scanning speed of 0.3 seconds and a processing time of 2.2 seconds (scanning – imaging – storage! ).